Hello guys My name is warsniper and when I started this game, my favorite champion was ra. 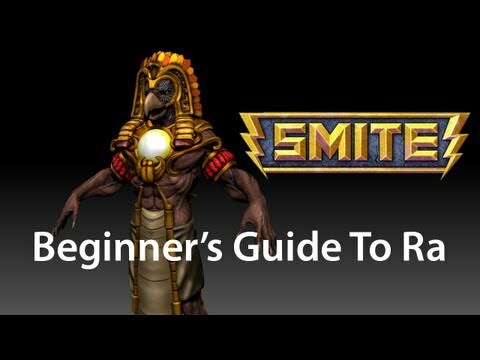 A lot of players like ra too and so i thought of the best / OP build for ra. Everyone has a variaty in their build, that's okay, even I have it, but normally I like to stick to this build! This build gives you an extreme adventage in teamfights and 1 vs 1 fights. I start of with Magi boots (some people prefer to take LVL 1 boots and another item, but I go for lvl 2 boots ) + 2 health pots. Im a really agressive player and like to kill so when the minion wave is nearby and the enemy's walk behind it, just spam your q on the minions and try to hit the champions aswell. If you see an enemy going for you it's okay, let them just get rid of the minion wave and keep Q'ing them, finally you will get the kill and use your C to heal up and do the same every time! DONT FORGET !!!! KEEP GOING B AND BUY HEALTH POTS!!!! EXTREMELY USEFUL!!!! Try to rush the circlet of focus, gives you the spellvamp that you need to survive! Stand in the light while the enemy's attack you, it will give you spell vamp on the enemy's and heal yourself. Lvl your items up to lvl 3 and then either go for HIDE OF LEVIATHIAN or for GEM OF ISOLATION. The choice is up to you, do you want to be resistant against enemy's or do you want to be high damage and slow them and chase them down ??? Honestly I prefer the GEM OF ISOLATION first, but it depends on your style of playing. THIS PART IS ONLY IF YOU GET MINION FED OR CHAMPION FED!!!!!!!! If you get really fed fast, then finish your build with the ROD OF TAHUTI. Your damage will become so high that they cant break you anymore. Okay so what you basicly want to do with the skill section is to get your 1/Q and your 3/E till the max as soon as possible! These are essential for surviving 1 on 1 or in teamfights! Ra's ultimate does a lot of damage but it's hard to aim, so I would reconsider if you should lvl it up quickly or not. I've seen a lot of people missing it! TIP: try to adjust your ult so even if you miss you will hit another champion / minion wave which will leave them vulnerable! You should lvl up your 1/Q or 2/W at lvl 3, either : the chance to escape or the chance to deal more damage early game. I adjust this style to the enemy champions. Ra is a HIGH DAMAGE NUKE champ, try to do as much damage as possible! Most of the time I take #1, just to scare of the enemy with the damage RA does, so they won't start a teamfight and we will. Cons : you will use your ult first and they manage to get away so you cant snipe them with your ult after. - Can be played support or even tank, depending on the team. - BIG MISTAKE : DO NOT LVL W/2 or your ULT/4 first! Leave a comment and keep checking out these builds. and I also have a youtube, just search for the same name! thanks guys :) and may you rule the battlefields of SMITE!!! Overlooking the consistent grammatical and spelling errors and the fact that most of the time you don't really make sense, you seem to contradict yourself in your guide. You claim that Ra is a nuke, but your item build is a damage/tank hybrid. You say to rush the Circlet of Focus, and besides that being a terrible idea, in your item build you take it more towards mid-game. Overall, the guide isn't well thought out and needs a lot of editing. 1010 Onislayer Overlooking the consistent grammatical and spelling errors and the fact that most of the time you don't really make sense, you seem to contradict yourself in your guide. You claim that Ra is a nuke, but your item build is a damage/tank hybrid. You say to rush the Circlet of Focus, and besides that being a terrible idea, in your item build you take it more towards mid-game. Overall, the guide isn't well thought out and needs a lot of editing.